Space plays an important role in the behaviour of both individual infrastructures, and the interdependencies between them. 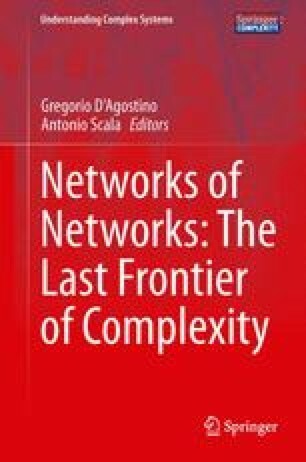 In this Chapter, we first review spatial effects, their relevance in the study of networks, and their characterization. The impact of spatial embedding in interdependent networks is then described in detail via the important example of efficient transport (or routing) with multiple sources and sinks. In this case, there is an optimal interdependence which relies on a subtle interplay between spatial structure and patterns of traffic flow. Although simplified, this type of model highlights emergent behaviour and brings new understanding to the study of coupled spatial infrastructures. The authors thank financial support from CEA-DRT for the project STARC. MB was supported by the FET-Proactive project PLEXMATH (FP7-ICT-2011-8; grant number 317614) funded by the European Commission.